With 60 miles of golf-packed coastline to enjoy, it’s little wonder that Myrtle Beach is such a popular USA golf holiday destination. Whether it’s the impeccable Grande Dunes, the superb-value Kingston Plantation or the top-notch Barefoot Resort – featuring designs from Norman, Fazio, Love and Dye - the choice of Myrtle Beach golf courses is almost endless. 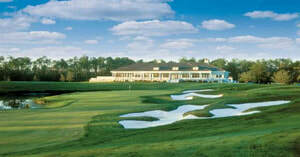 With an equally impressive array of nightlife and attractions, South Carolina golf breaks don’t come better than this. You could quite easily spend two months playing golf on this stretch of coastline and never have to play the same course twice. One of the most renowned courses in the area is TPC Myrtle Beach – a stunning Tom Fazio design which has played host to the Senior Tour Championship. 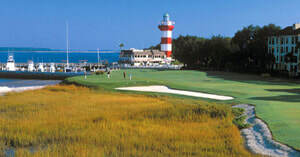 Other exciting layouts include the Pine Hills Course at Myrtlewood, South Creek Course at Myrtle Beach National and the Panther’s Run Course at Ocean Ridge Plantation. With its brilliant nightlife, many local attractions and never-ending beaches, Myrtle Beach offers everything you’ll need for a first-class golf holiday. 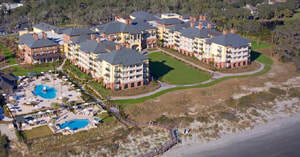 Stay and play at the likes of Barefoot Resort and Grand Dunes, or alternatively enjoy a Myrtle Beach golf tour and play some of the finest courses in the area. Some of the most noteworthy courses include Myrtle Beach National Kings North, Arcadian Shores and True Blue Golf Course.